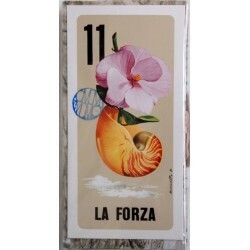 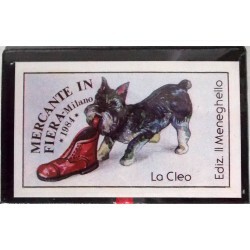 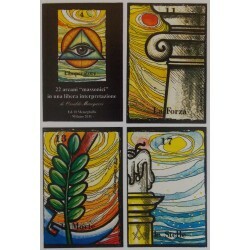 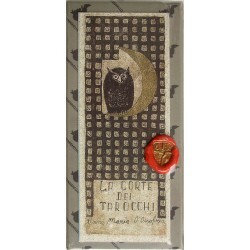 Tarocco Napoleonico - Tarot Bulgaria ltd.
Napoleonic Historical Tarot Limited edition 2000 decks. 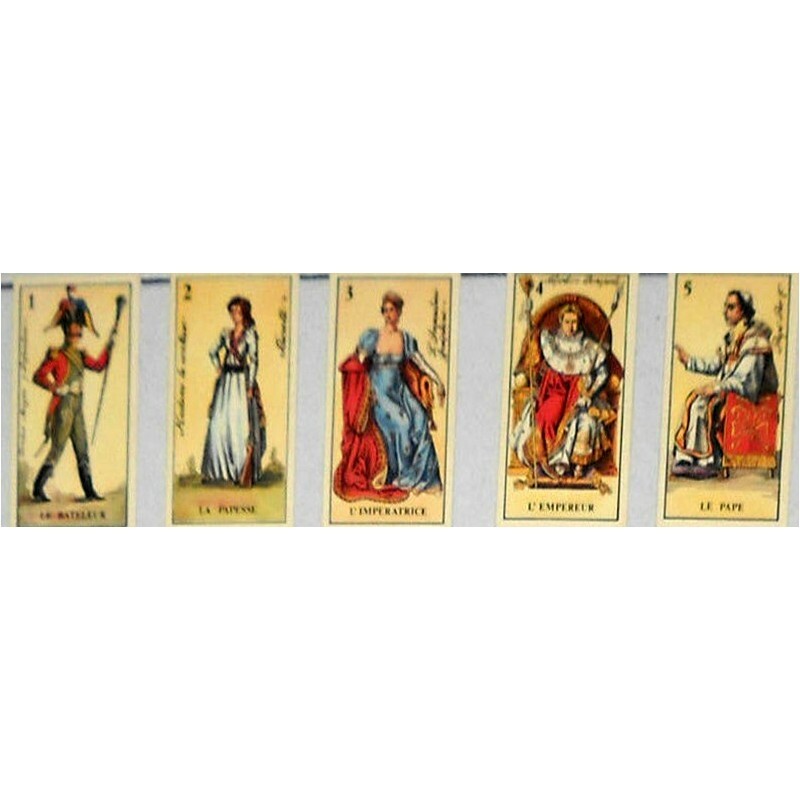 78 Card Tarot deck Nouvel Jeu De Tarots Avec Les Personnages Napoleoniens. 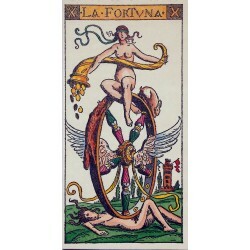 One of two tarots by Menegazzi about Napoleon. 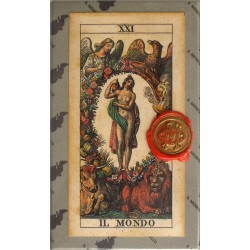 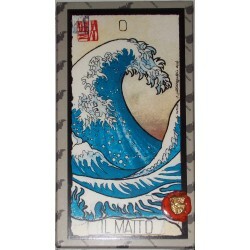 Size: 2.36 '' x 4.33 inches, 6 x 11 cm., 60/110 mm. 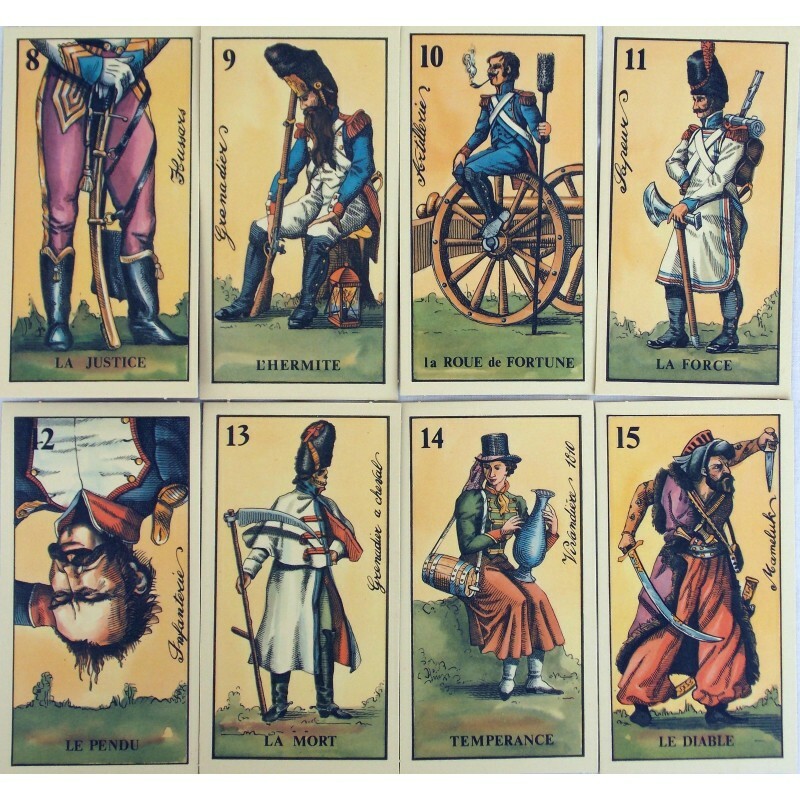 This is a handsomely illustrated, 78 card deck presenting vignettes, personalities and attire of the Napoleon era. 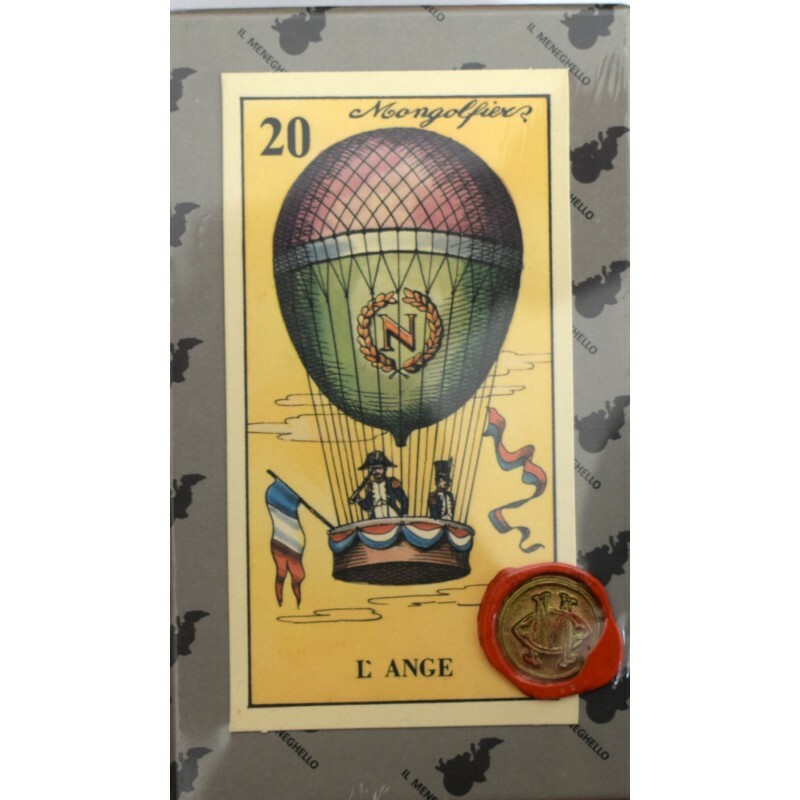 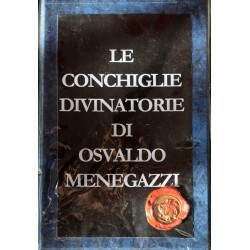 It is a limited edition series of 2,000 copies..
Minor arcana have suit symbols and each suit features a different medal from that era.